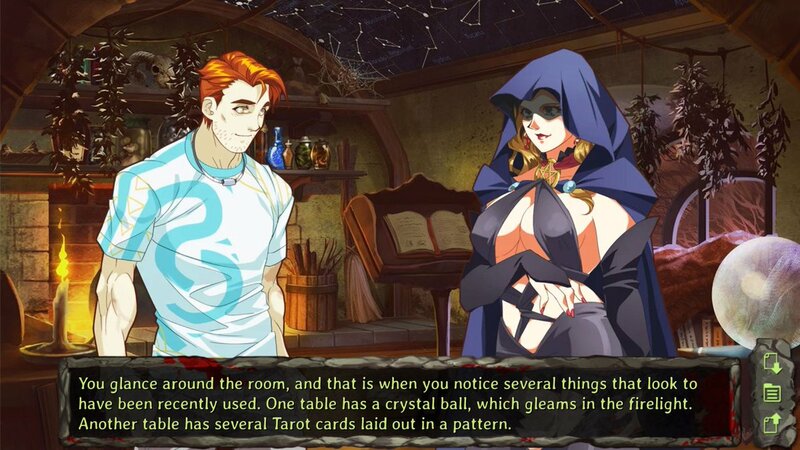 If more fortune tellers were adopting Nadia's fashion, I'm sure they'd suddenly become much more popular!!!! 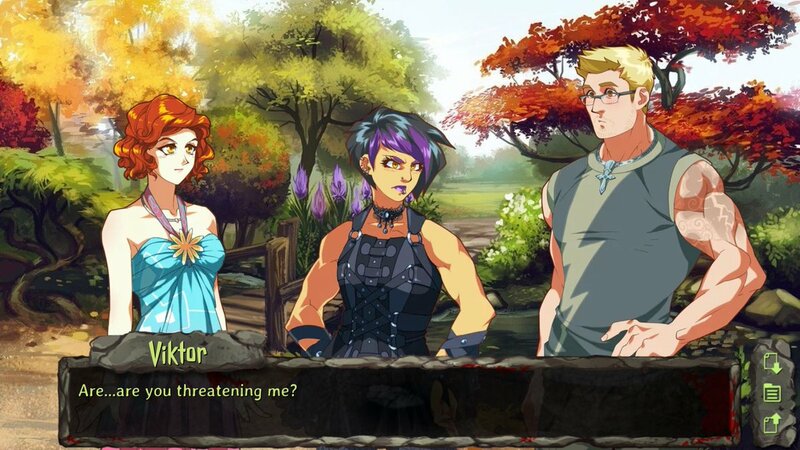 today started testing all the "proper" jealousy scenes, and they're as good as always (you might remember Miakoda made some really epic jealousy scenes for PSCD). Today had to do some errands so sadly wasted most of the day but tomorrow I hope to finish coding all the weekend events and maybe the gifts shop as well! Minor progress report. I think all the writing is officially done. That sounds like a major report. Indeed! She probably meant minor because there wasn't much left to write after the last update. Anyway, hopefully today real-life will let me work in peace (had a lot of ballbreaking, phone not working etc that distracted me too much in past days!). 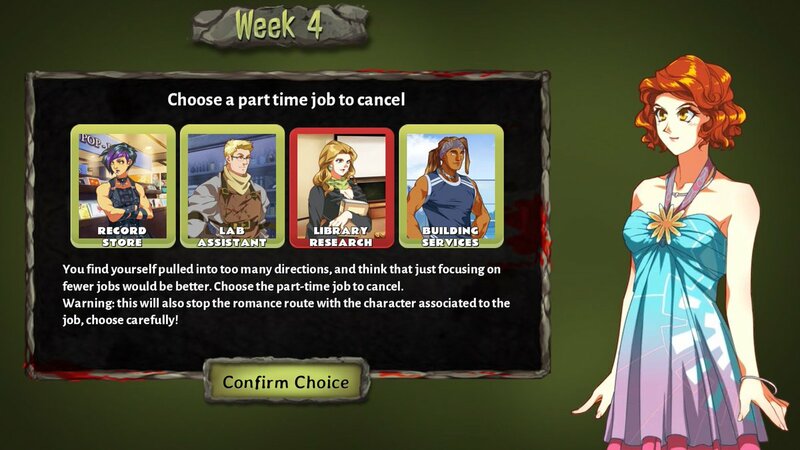 finished a screen similar to Amber's one where you choose which love interest to abandon. 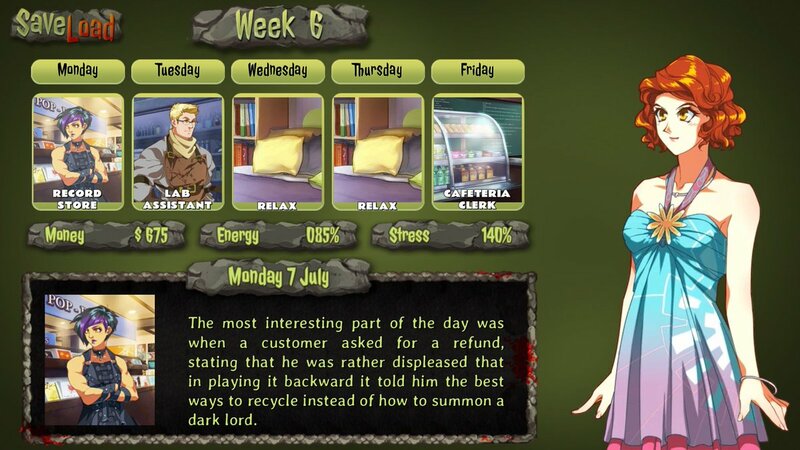 This time was able to make it more "realistic/plausible": since because of the curse the player's health is gradually getting worse, he/she will reduce the amount of work done quitting a part-time job. During the weekend... I didn't manage to finish coding the weekend activities! hopefully though will do it in the next days. 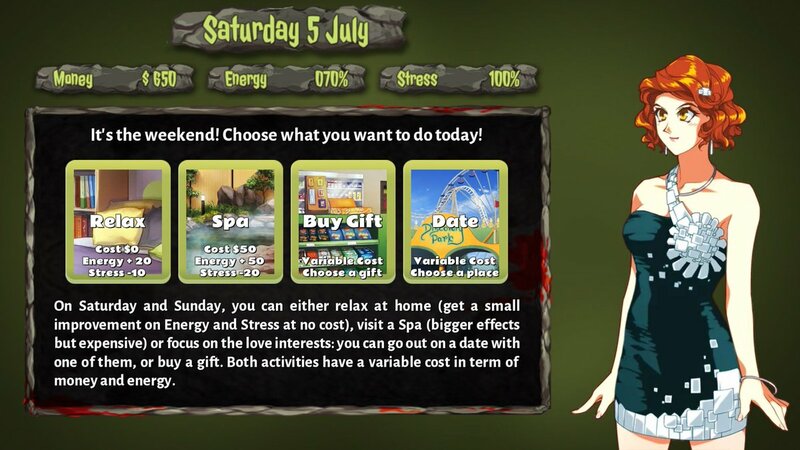 The first two options works already, for the dates and gift only need to enter the data and code a few more screens. 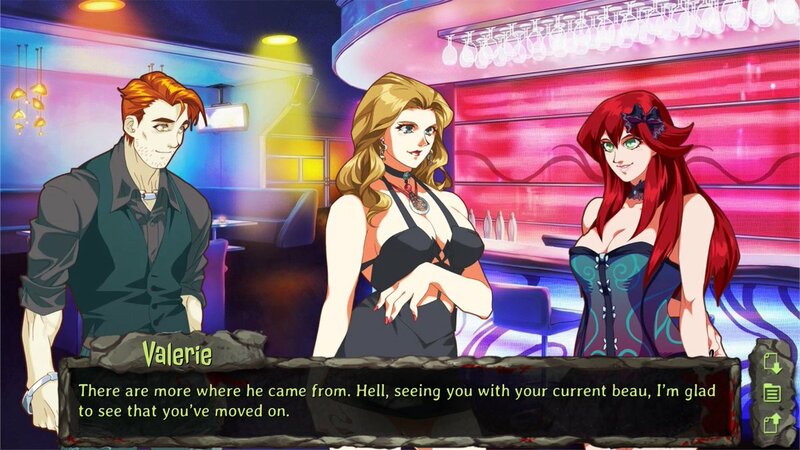 Meanwhile scripter is working hard to send me Nadia/Kaitlyn (last missing romance route to test).